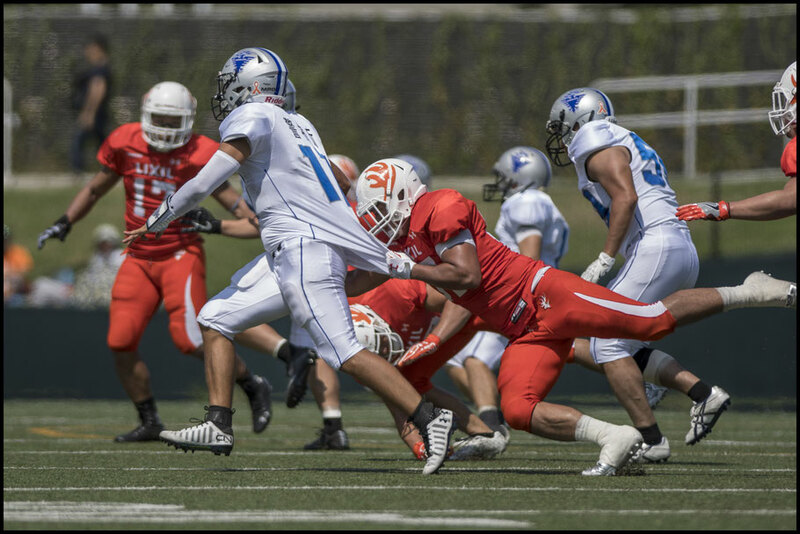 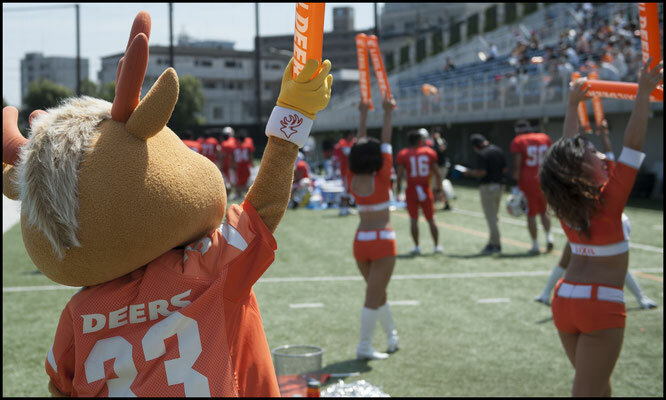 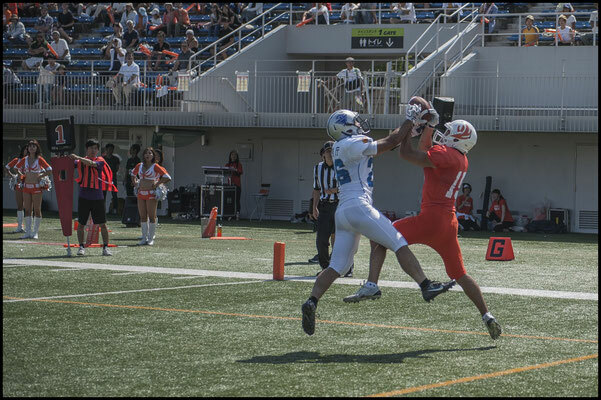 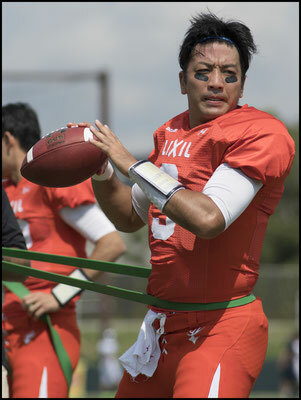 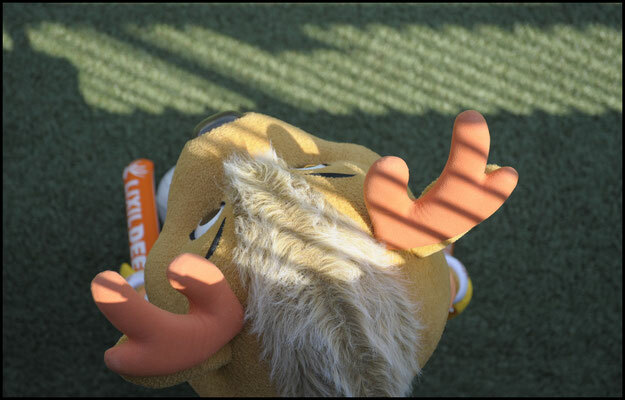 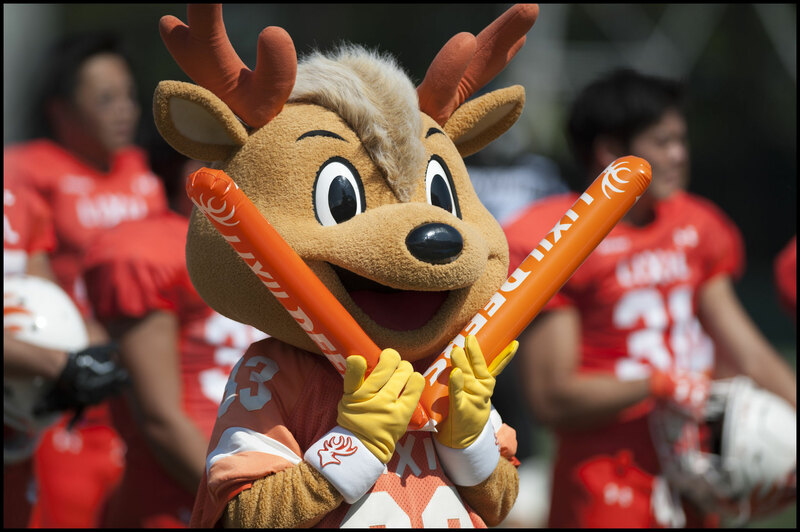 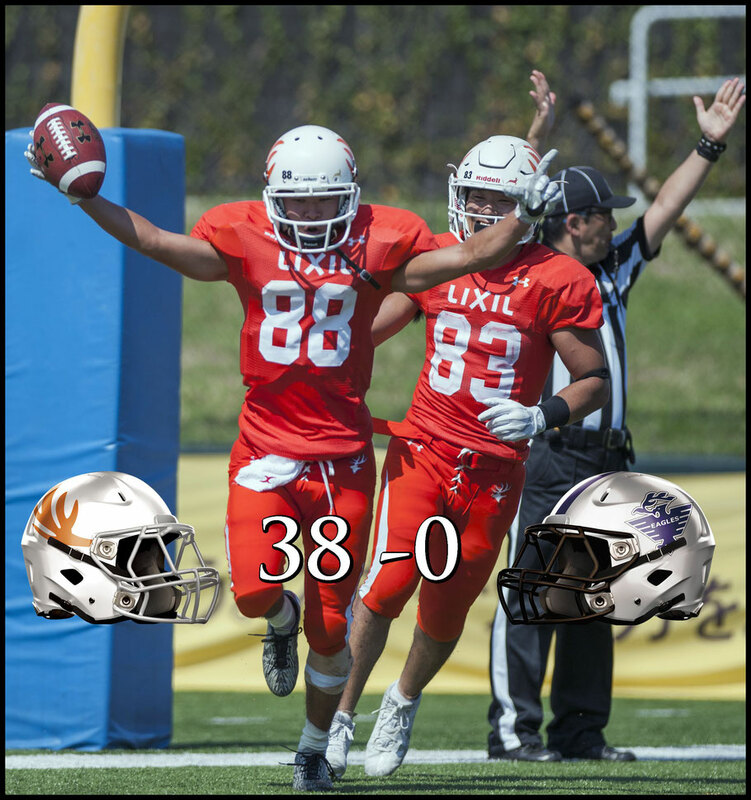 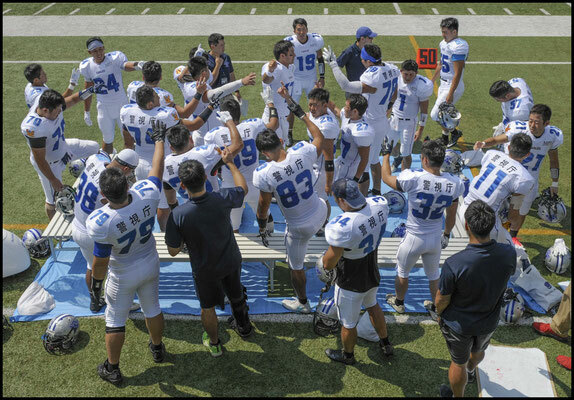 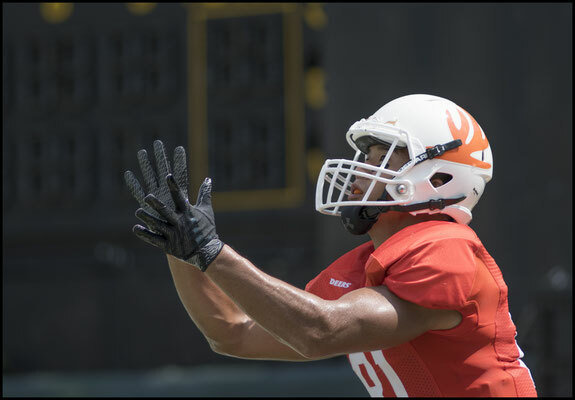 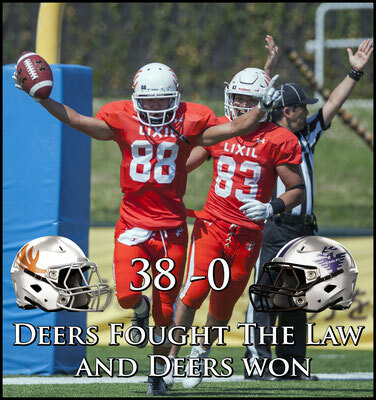 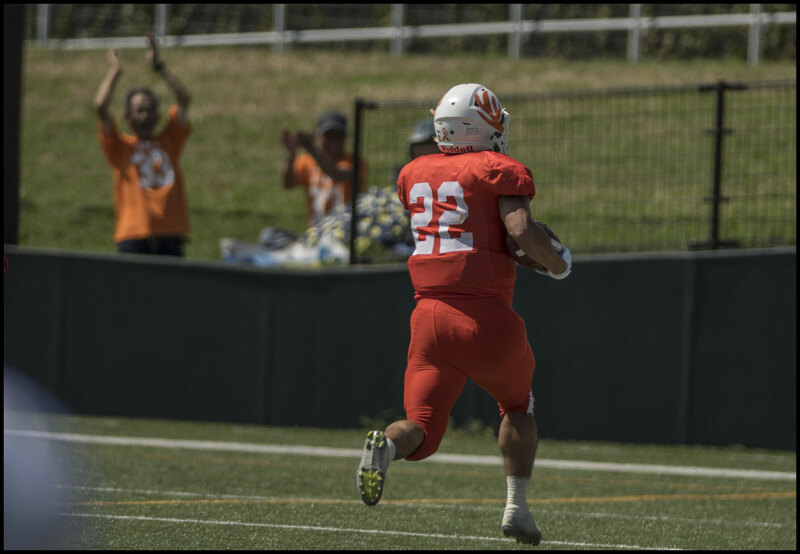 Lixil Deers defeated the Metropolitan Police Eagles 38-0 at a scorching Fujitsu Stadium on Sunday. 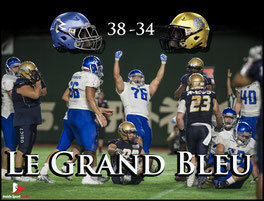 The heated contest, while not competitive on the scoreboard, certainly wasn't short on passion. 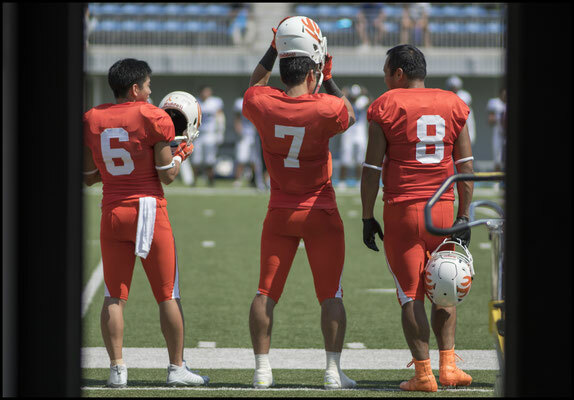 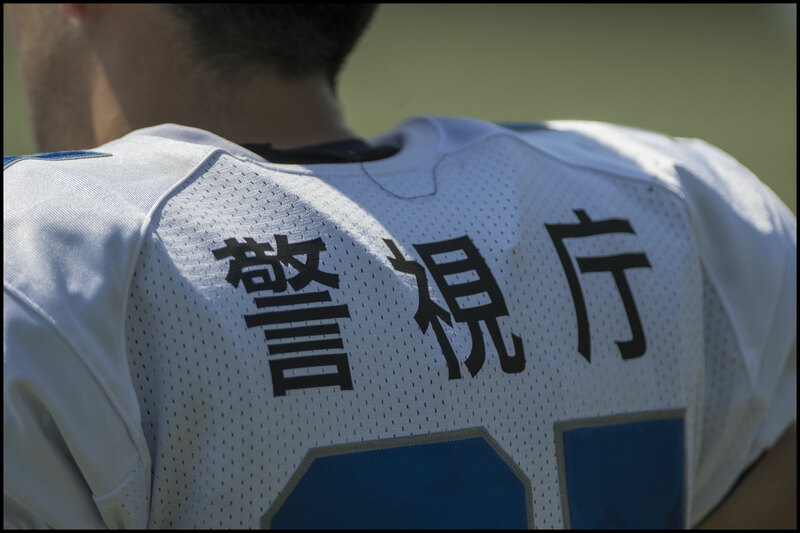 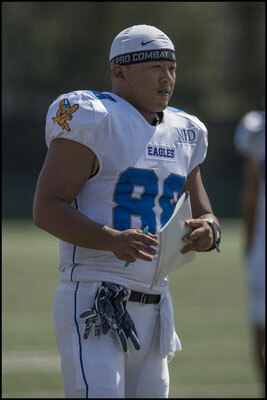 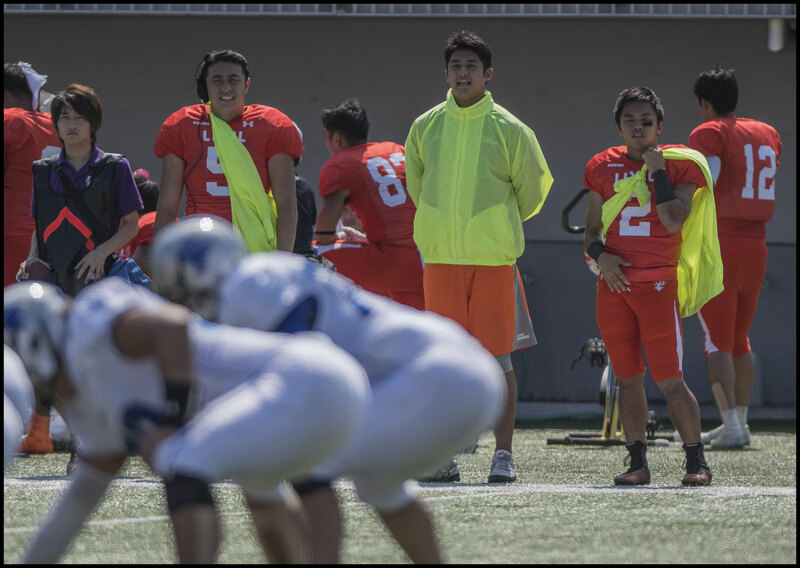 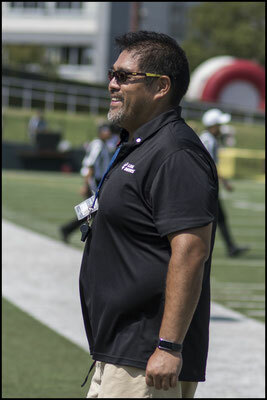 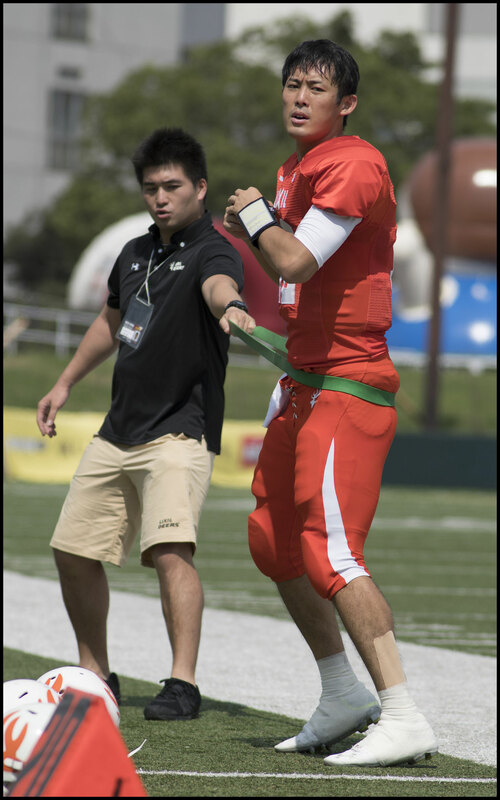 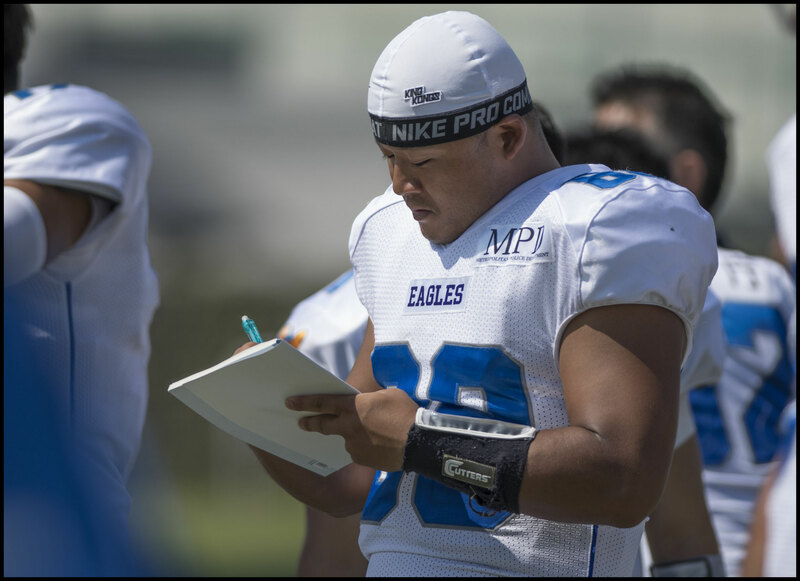 Veteran wideout Naoki Maeda got into a shoving match with Eagles DL Shuntaro Nezu early in the second quarter that earned Maeda a long talking to from an official on the sideline. 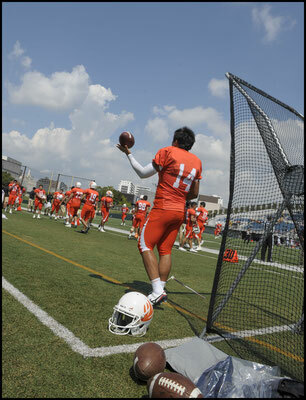 That only served to fire him up more though, and on the very next play he caught a pass and took it 70 yards downfield. 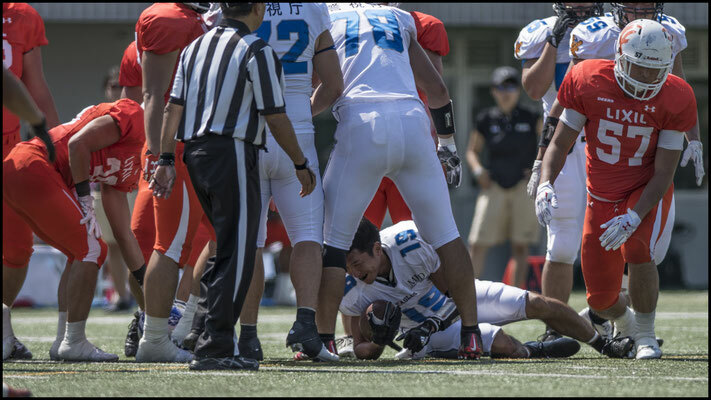 Tempers flaring may have partly been a result of non-flags on some early questionable hits. Eagles WR Toru Kurokawa left the game on his team's second series after a huge hit by Deers DB Keisuke Waki that, from the press box at least, looked borderline. 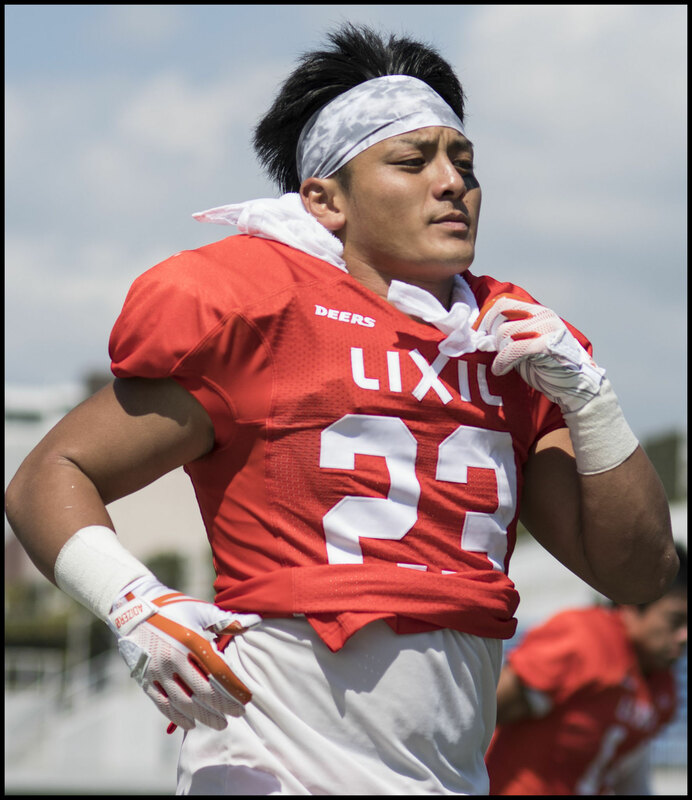 On the very next play Waki picked off a pass after the QB had been put under pressure by a Lixil defensive line that was clearly offside before the snap. It wasn't a good day generally for the men in zebra stripes. 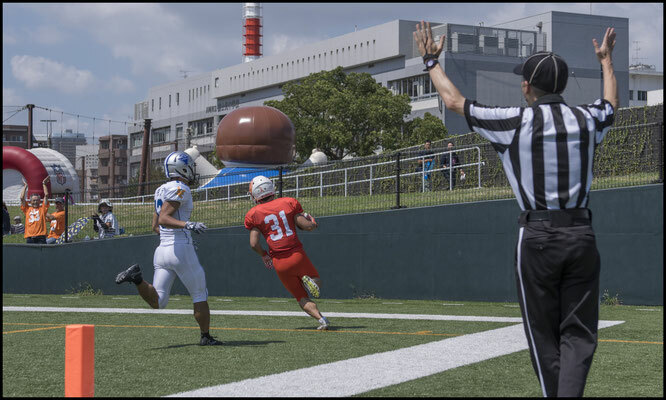 Several times the referee had to stop mid-explanation and reconsult with the other officials and even then the wrong player was cited more than once. The Eagles can't blame the refs or even the Deers for the loss however as they were more often than not the architects of their own misfortune. 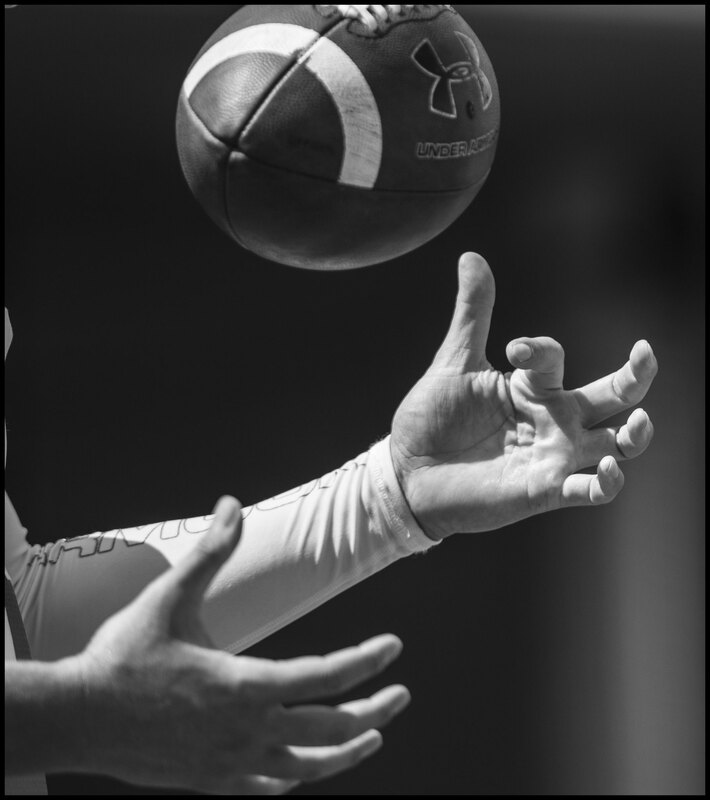 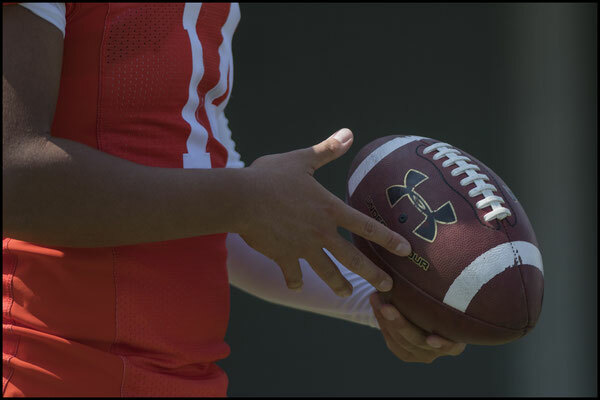 Three or four times a Police linebacker or defensive back was in a position to make a play but ended up juggling or dropping the ball. 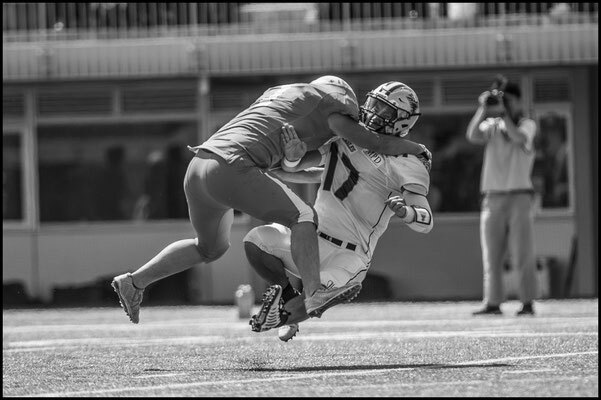 In a game like this, to have any chance you need to take every opportunity that comes your way but for the Eagles, both sides of the ball missed several of them. Lixil started the game with a three and out but then promptly fumbled the ball back to the Eagles on their very first offensive play. 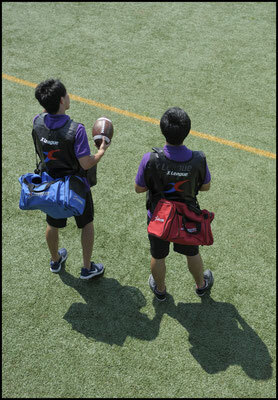 They soon got into gear though scoring touchdowns on their next three possessions. 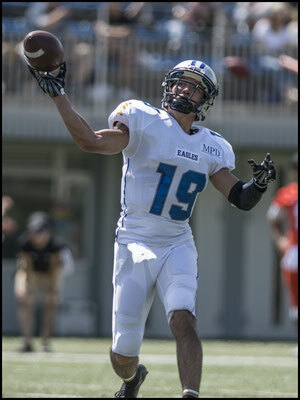 The Eagles by contrast had two passes picked off and punted on all the remaining drives. They didn't reach the red zone all game. 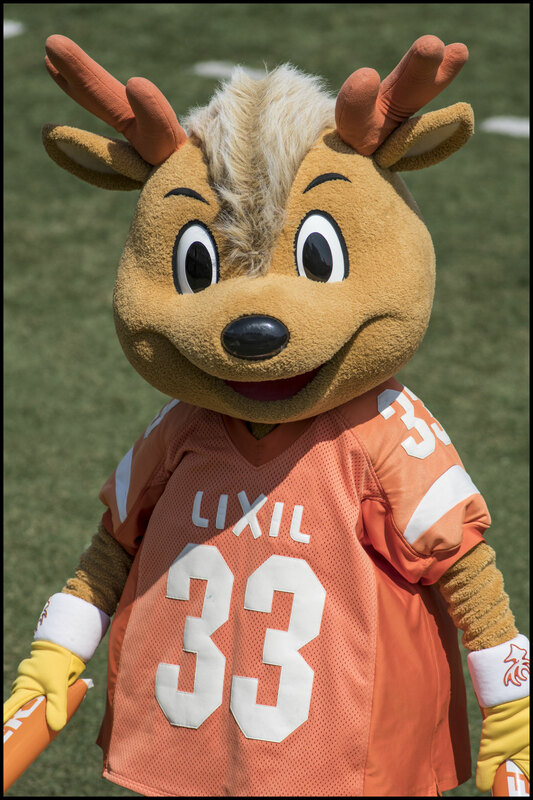 The biggest problem for the Eagles was the speed of Lixil's defensive front. Veteran Toru Hirasawa and rookie Ryutaro Tojo were putting pressure on up the middle and any outside run was inevitably met by a solid orange front. It was a similar story on the other side of the ball. 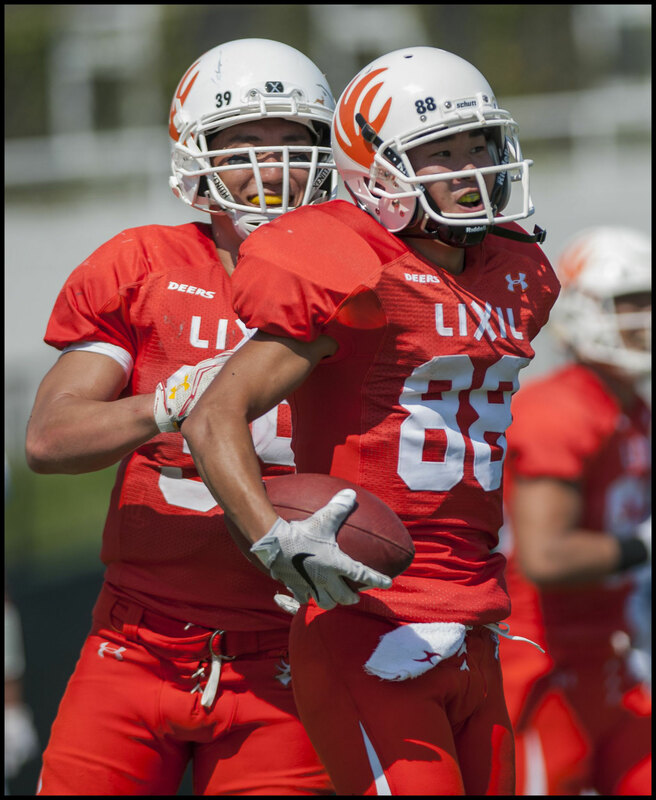 Lixil's pace meant that passes into the flat or bubble screens were very successful. Even when Eagles players were in a position to make a tackle they rarely got more than one hand on the man. 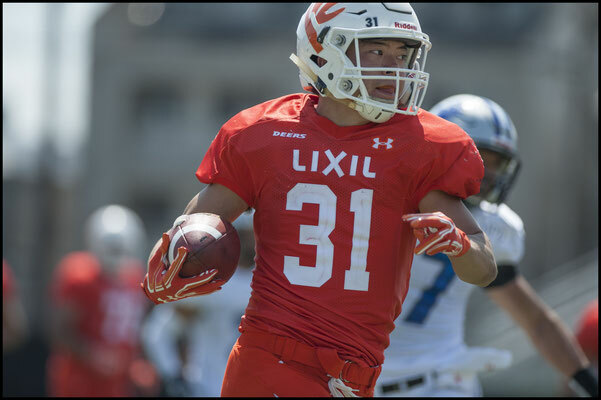 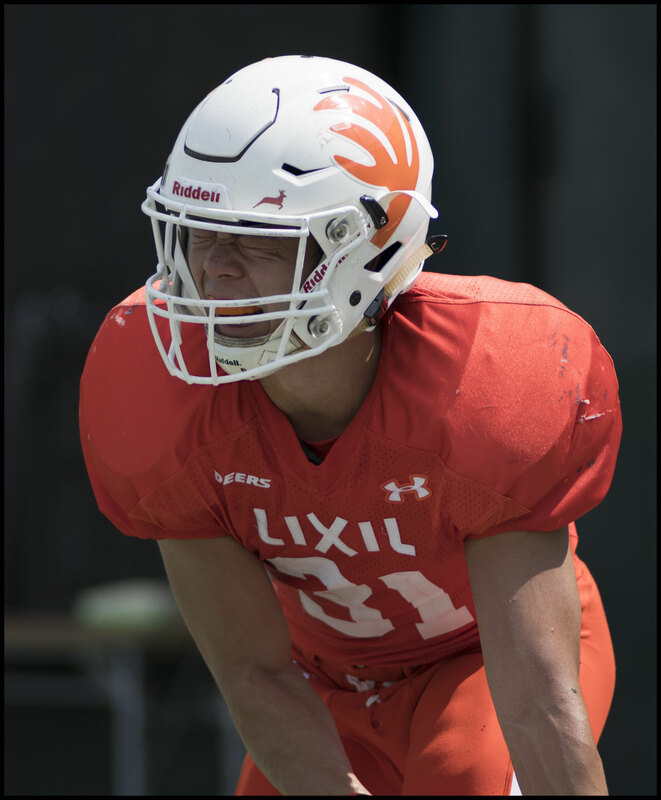 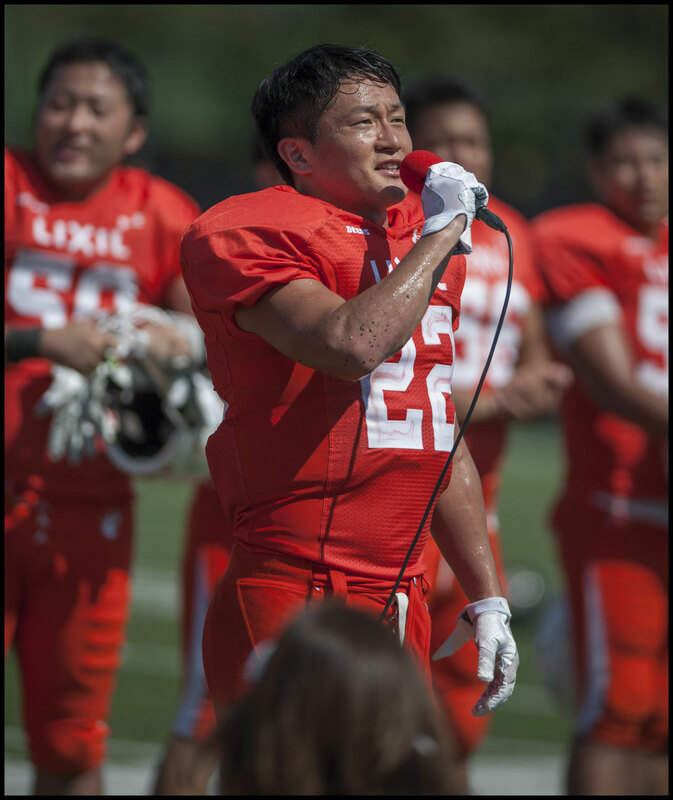 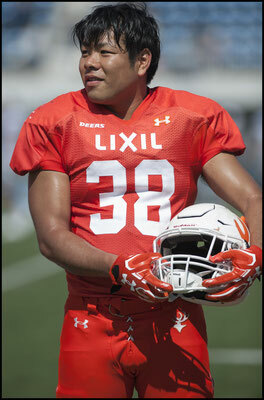 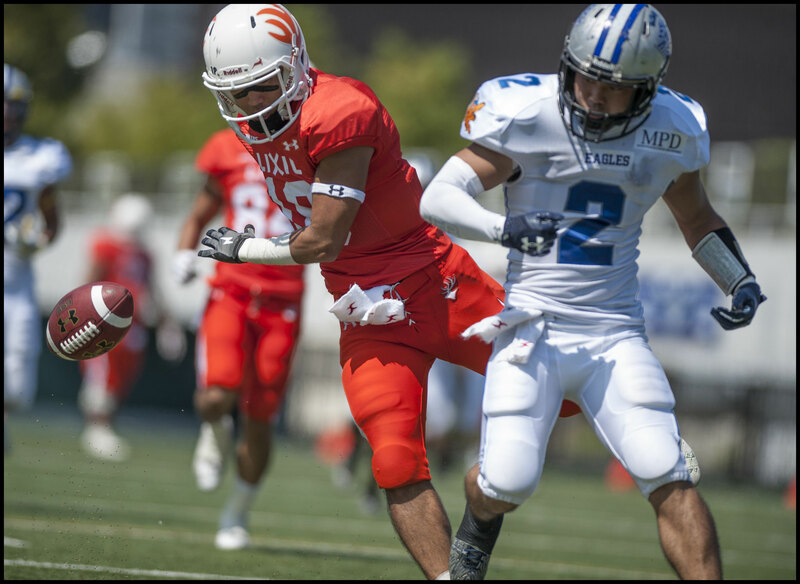 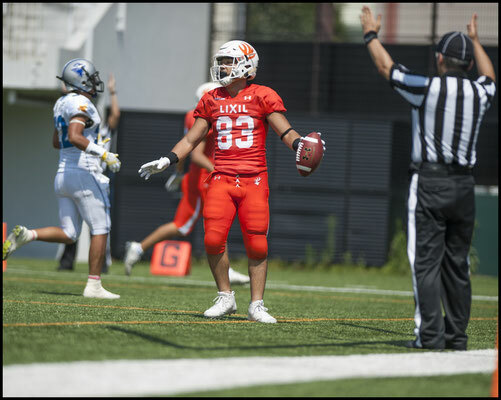 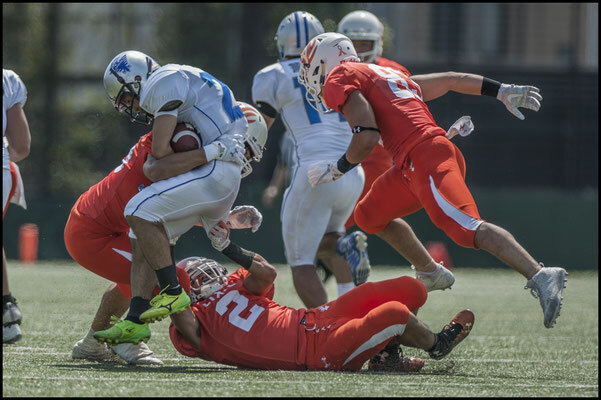 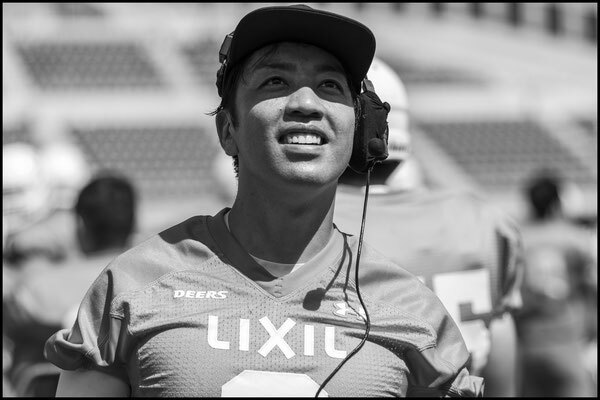 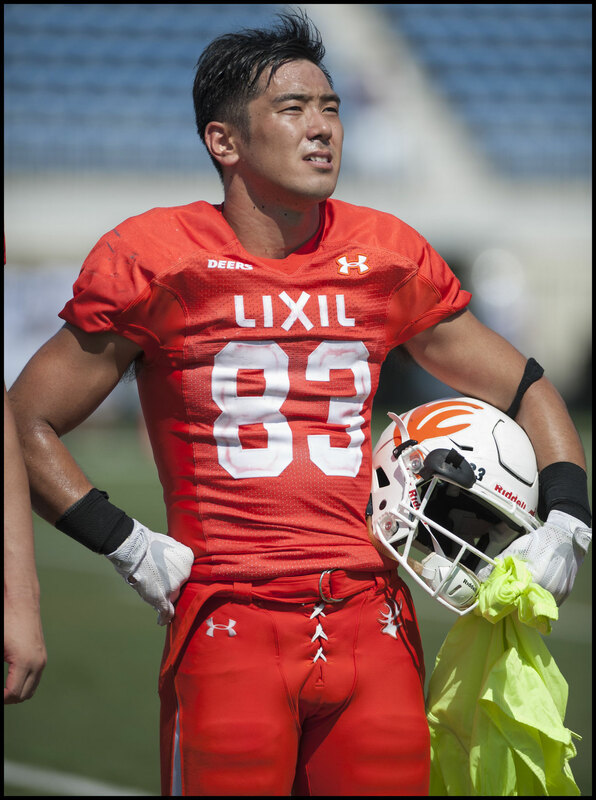 On Lixil's first TD, RB Tomoya Okabe spun through two such tackles and sprinted 41 yards to paydirt. 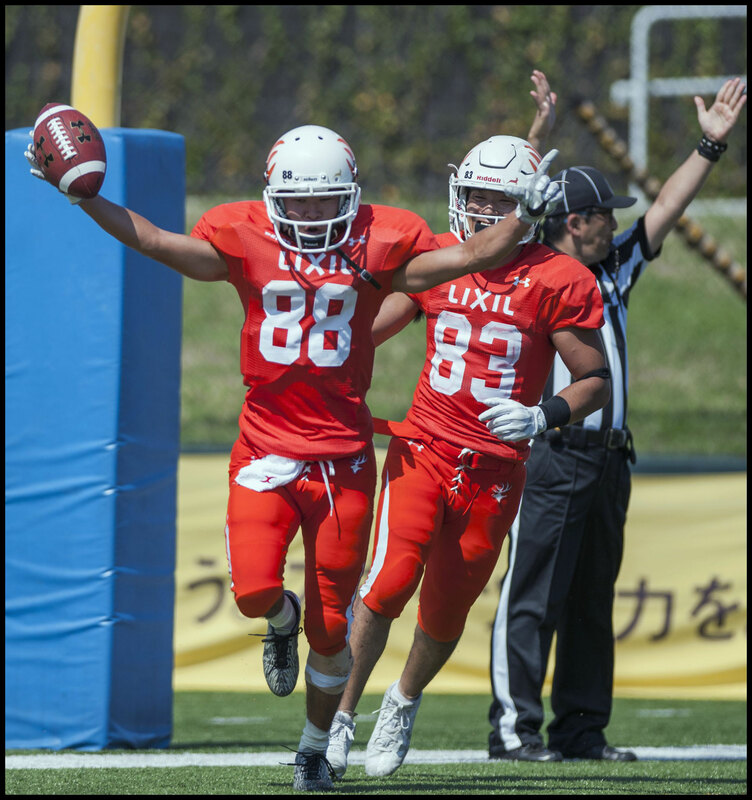 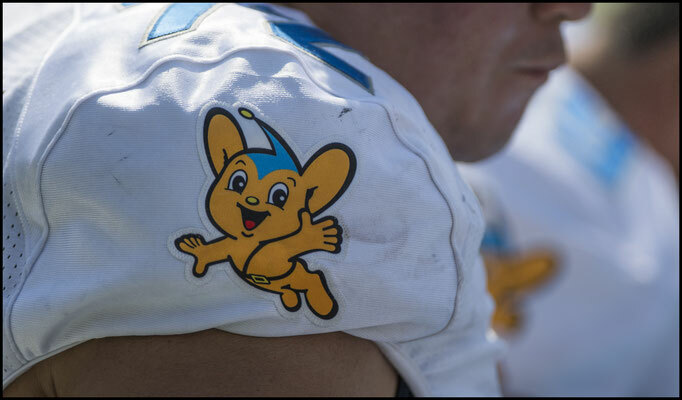 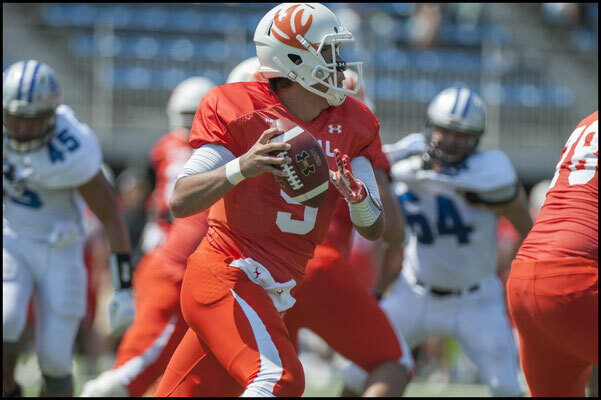 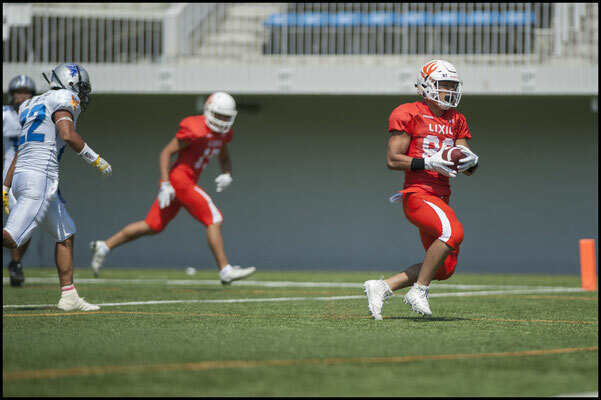 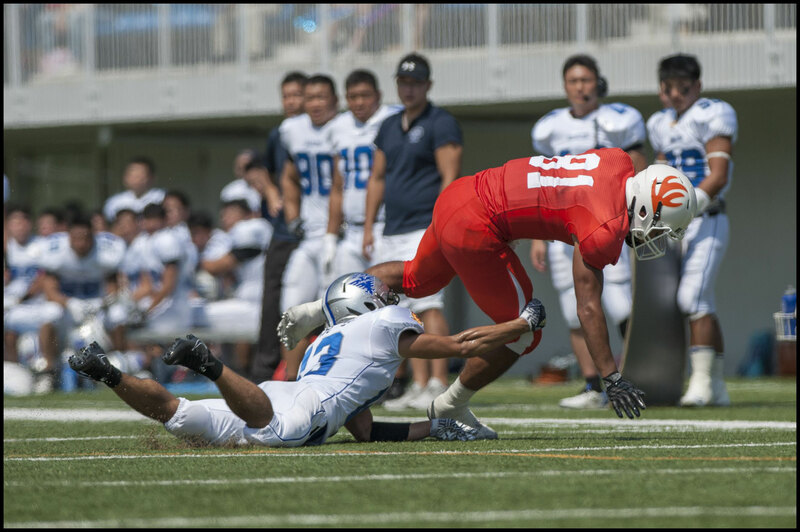 His backfield partner Shinichi Maekawa took a play option pass up the center for a 15 yard score to make it 14-0 as the first quarter came to a close. 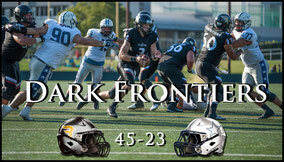 The game was over as a contest at that stage and neither tailback carried again, leaving those duties to the backups. 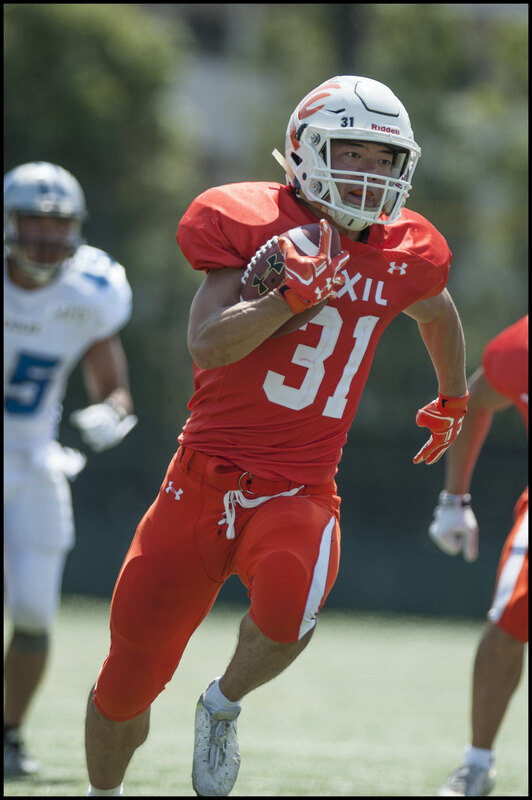 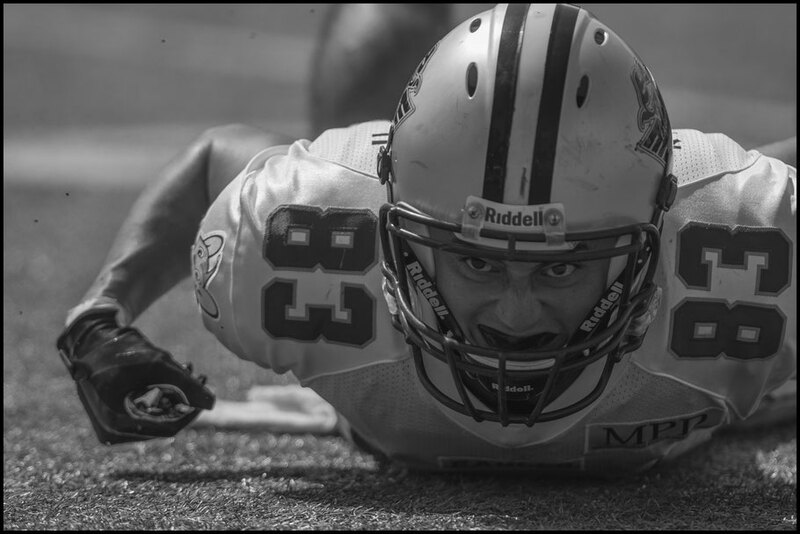 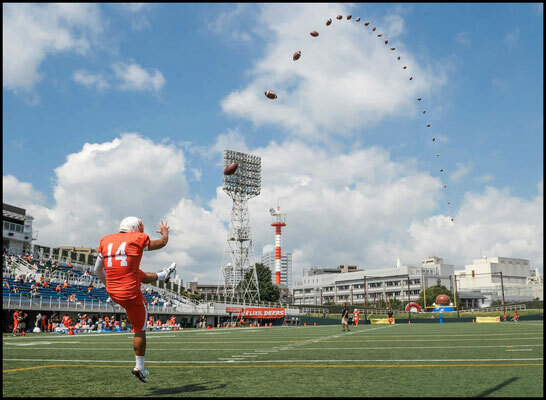 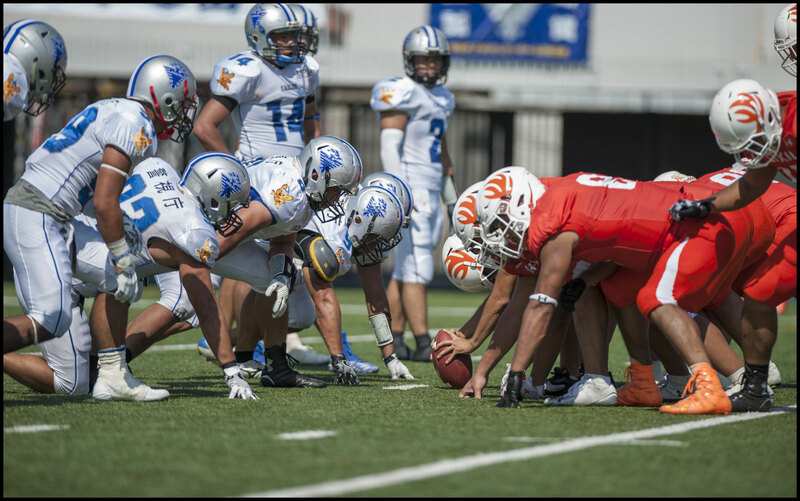 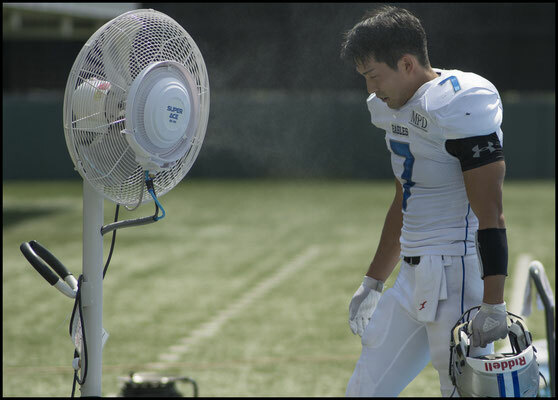 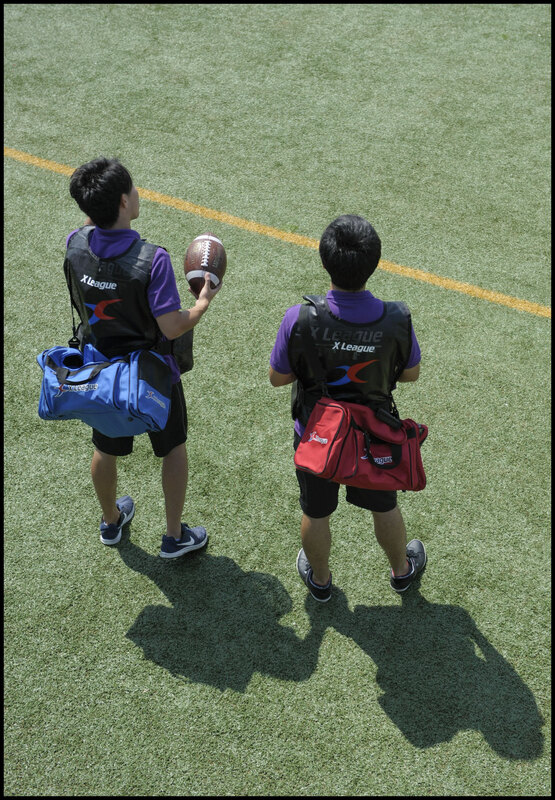 Yuki Shirakami who came over from Asahi Soft Drinks Challengers did most of the work, rushing seven times for 63 yards and a score. Despite the win and the scoreline though, Lixil weren't all that impressive given the level of the opponent. 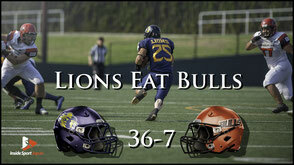 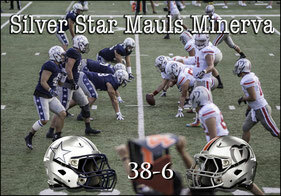 They have a huge game next time out against Silver Star. 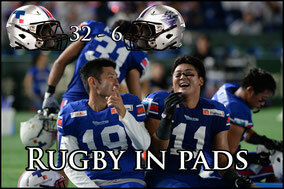 Going on what we've seen so far this season Asahi Beer seem like a good bet there to stage the 'upset'. 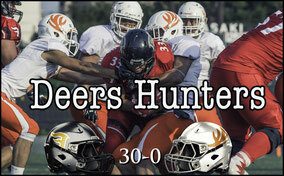 The Eagles on the other hand have Minerva next. 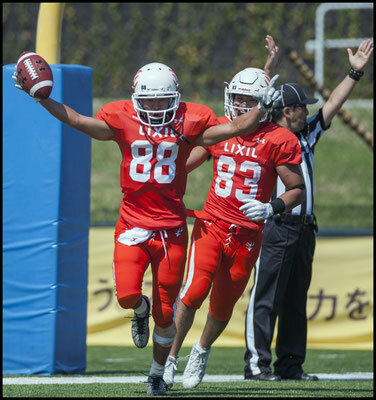 Whatever hopes they had of getting a win will surely be hampered by the fact that Fuji Xerox haven't played since opening day and have had a full three weeks to prepare for the game.